The sourcing of suitable items for acquisition for the Queensland Police Museum (QPM) is undertaken by the Historical Objects Purchasing Officer (HOPO). Recent acquisitions include the purchase of three QPS commemorative swords, a QP bayonet, and a scabbard and frog. The swords were a 1982 Commonwealth Games sword, a 1987 World EXPO sword (with poignard) and a 1988 Bi-centennial sword. The QPM did not have a specimen of the 1987 World EXPO sword but it was keen to acquire one. 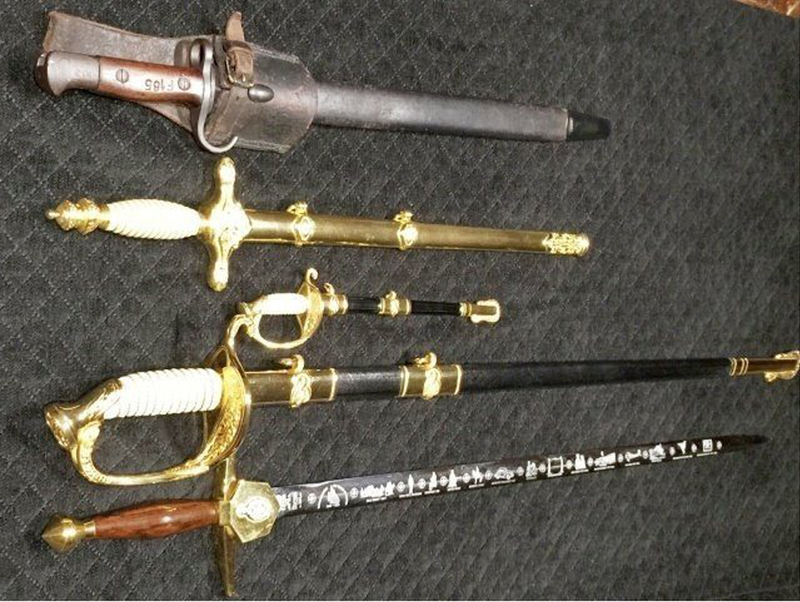 Due to the sale arrangements settled by the vendor, the FQPM took advantage of the offer and purchased all three swords. It is anticipated the 1982 and 1988 swords will be offered for sale. Do you have items of significance to donate? Should you wish some advice concerning the disposal of police uniforms or equipment, the matter can be discussed with the Secretary or any member of the FQPM Management Committee. They would also be delighted to discuss any donation you may wish to make. Several of the FQPM Committee and members keep an eye out on EBay and other sites for Queensland Police memorabilia which may be of interest and sought after by the QPM for inclusion in the museum’s collection. Recently, a Queensland Police issue 1907 bayonet scabbard (Marked Q^P 320) which the QPM desired, came up for auction but unfortunately the FQPM was outbid on the item. We ask our members and other interested people to alert the HOPO if they should find police related items of interest on the internet or elsewhere. The HOPO will consult with QPM staff to assess the significance of the object to the museum’s collection and the FQPM Committee will consider the purchase.